“Money can’t buy me love” may be one of the most famous song lines of all time and there are plenty of instances of where politicians have not been able to use money to buy the love of an artist enough for them to allow their tracks to be used for political purposes. While the U.S. is probably home to the most famous snubs, there are examples of them from many other countries. Here is a list of five of the best known of them. “Born in the U.S.A.” has to have one of the catchiest choruses ever written and, taken out of context, can easily be made to sound like a song of joyful praise for having been lucky enough to have been “born in the U.S.A.”. Ronald Reagan certainly thought so, which was why he tried to use the song in his 1984 election campaign. Springsteen said no and Reagan’s partly complied in that he did not actually play the song, but he did reference it in one of his speeches. Bob Dole and Pat Buchanan also tried using the song in 1996 and 2000 respectively – until Springsteen took action to stop them. Mitt Romney’s became involved (presumably inadvertently) in a few music-related controversies back in the 2012 election campaign. On the one hand, the democrats released an advert attacking him, which used the Cyndi Lauper hit “True Color” but while she contented herself with simply expressing her displeasure, Al Green’s management company served Mitt Romney with a cease and desist notice for using Green’s song “Let’s stay together” in one of their own adverts. In both cases, the adverts were taken down from YouTube, but in the latter case, YouTube reinstated the advert after Romney successfully argued that the use of the song was permitted under the U.S. concept of “fair use”. In a separate incident, K’naan objected to Mitt Romney’s use of his song “Wavin’ Flag” at a rally in Florida. K’naan threatened legal action and although Romney argued that his use of the song was covered by a blanket licence for the rally in question, he also said he would stop using the song out of respect for the musician. While copyright law is a serious matter, it has to be said that the spat between Joe Walsh (guitarist for The Eagles) and Joe Walsh (a congressman for Illinois) over the use of the song “Walk Away”, did provide plenty of entertainment value. In addition to the coincidence over the names, the cease and desist letter sent by the lawyer for musician Joe Walsh, could hardly be described as written in polite legal language. It didn’t, however, do any good. 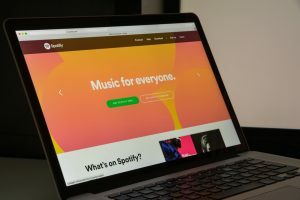 Joe Walsh (congressman) responded that the song in the offending advert had been a parody of the original and hence permitted under the U.S. concept of fair use. The list of artists who have objected to Donald Trump using their music is a lengthy one and includes: Adele, Elton John, Neil Young, Queen, R.E.M., Steve Tyler, the George Harrison estate, the Luciano Pavarotti estate, The Rolling Stones and Twisted Sister (or more accurately their frontman Dee Snider). The list of songs involved is likewise lengthy. Some artists, like Adele and Queen, simply seem to have a general objection to their songs being used for political purposes, whereas others, such as Neil Young openly objected to Trump specifically. In some cases, Trump has honoured the artist’s views or said he will do so and in other cases he has ignored it. In this context, it’s worth noting that although artists may hold copyright over a song, there may be licensing agreements in place under which a politician can use a song regardless of an artist’s complaints, for example if they hold a rally in a venue which is covered by a blanket licensing agreement. “Australian Conservatives 100” was created on Spotify. Artists including Darren Hayes felt that they did not want their music associated with this party but Cory hit back telling them should be “grateful for the royalties”. It’s not always about money and as you know music is a very emotive topic.